Shahanshah Aryamehr gives a speech at a state-vistit to the White House - President Richard Nixon standing next to HIM. God bless His Imperial Majesty and his noble aspirations not only for his own country but for the entire world. 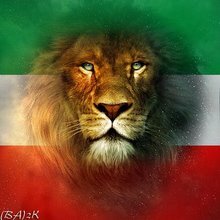 A video which urges Iranians to rise up against the filthy anti-Iranian mullah's who have been occupying Iran through terror and executions since their coming to power in the coup d'ètat of 1979. Unfortunately since I am not able to read persian script I will no longer publish comments written using the beforementioned - please write all comments with latin script which allows me to understand your comments and any points which you wish to convey. This means you can still write comments in persian but using latin script. Thanks for your understanding and sorry for any inconvenience. Her Imperial Majesty the Empress of Iran at the site of her husband's temporary tomb - Shahanshah Aryamehr; Cairo, Egypt, July 2007. HIM the Empress also paid tribute to the memory of President Anwar Sadat who was the only head of state that stood by the Shah and remained a true friend of the Iranian Nation as the international community (Europe/U.S.) went ahead with their plans to establish chaos and anarchy in Iran through the establishment of a "green belt" policy. To hear HIM the Empress' message on this occasion in Cairo CLICK HERE. To read a statement by HIM the Empress please CLICK HERE. 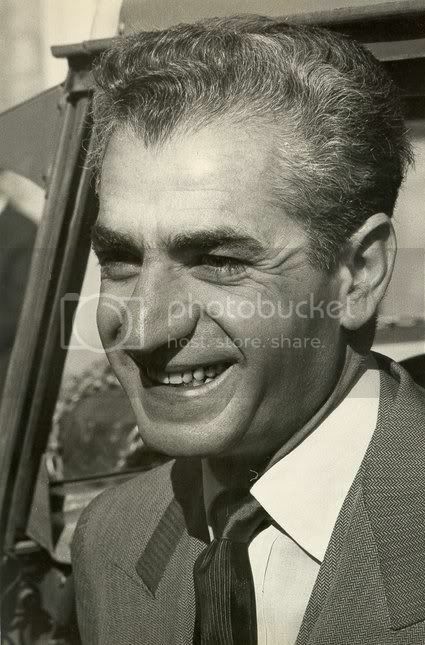 Ravaneh aan do Abarmardeh Iranparaste Irani, Shahanshahane Pahlavi, Shaad Baad. I ALWAYS make a BIG DEAL about using the correct english term "persian" when referring to the language spoken by the Iranian people instead of the newly introduced and incorrect term "farsi"; without wasting to much time re-writing the obvious in defence of the correct term which i've written countless of times to audiences on internet forums I will let an expert try and explain it to those who still insist on using a term which is incorrect and damages Iranian cultural heritage. However if these people who use the term "farsi" do not understand the simple version of the explanation, which i've put forth many times, I doubt they will understand the academic version either further attesting to their utter ignorance towards preserving Iranian cultural heritage - in which the term "persian" has many connotations and specific terms attributed to it in many countries around the world - included are such terms as "persian empire", "persian carpets", "persian cats", "persian miniatures", and "persian gulf" amongst many others. The term Persian has been used in the English language for over five hundred years: to describe both a nation with 7000 years of archaeological history, and also the language that nation has used since the rise of the first Persian Empire, the Achaemenids. Unfortunately however, the word ‘Farsi’ is increasingly and incorrectly being used to describe the Persian language. This paper outlines the linguistic and cultural context of Persian, as well as exploring the potential motivations of those promoting the incorrect usage of the word ‘Farsi’. It explains clearly how the use of the word ‘Farsi’ instead of Persian voids important historical and cultural associations for the Iranian nation, with its long history of civilisation, and how it can therefore be seen as an insult to the heritage of Iran. New Persian or Persian for short is described linguistically as an Indo-European language. It is categorised as one of the Modern Iranian languages, along with Kurdish, Baluchi, Pashto, Ossetic and number of other languages. It is a member of the Western Iranian branch of the Iranian languages, which are themselves a subgroup of the Indo-Iranian (or Indo-Aryan) family of languages. As such, Persian is distantly related to the vast majority of European languages, including English. Over the past three millennia, Persian has developed through three distinct stages of Old, Middle and New. New Persian is a successor to, and derived from Middle Persian, and can be considered as having two phases: classical and modern – although both variants are mutually intelligible. The period after the Islamic conquest is described by Iranian scholars as the ‘Two Centuries of Silence’. There is no inscriptional or textual evidence for New Persian and only very scanty indications for the continuing use of Middle Persian. However scholars consider it unlikely that Iranians deserted their mother tongue and only cultivated Arabic. The lack of any literary evidence from this period will certainly have been compounded by the destruction of Iranian libraries by the Mongols under Genghis Khan and his successors – and there may also be other reasons unknown to us. The subsequent ‘Persian renaissance’ was marked by the advent of Classical Persian. This emerged in Khorasan in eastern Iran and so was strongly influenced by Eastern-Iranian linguistic elements. Arabic also had a major impact: with large numbers of loanwords, increasing palatalisation and also the inclusion of some grammatical elements. A modified version of Arabic script was adopted and some letter changes were made. For the purposes of this paper, the most important of these was the use of /F/ for /P/. As Arabic has no /p/ phoneme, the area of Pārs, the Iranian people who originated there and their language came to be described by natives as ‘Fārs’ and ‘Fārsi’. After these linguistic changes, Persian then remained essentially unchanged until the nineteenth century. At that time, what is now called Modern or Standard Persian developed from the Tehrani vernacular – following the adoption of Tehran as the capital city of Iran by the Qajar s in 1787. The name Persian derives from the province of Pārs (modern Fārs) in southwestern Iran. This was itself named after the Persian tribes of Indo-European nomads who migrated, along with some other Iranian peoples, from territories east of the Caspian Sea onto the Iranian plateau in the middle or later part of the second millennium BCE. The Persians settled in the mountain country rising over the northeast side of the Persian Gulf and enclosing the high basin in the west in which Persepolis and Shiraz are situated, some time between the seventh and ninth centuries BCE. The name survived as Fārs. This region then became the birthplace of two Persian dynastic empires – the Achaemenids (550-530 BCE) and the Sasanids (224-651CE) – as well as the cradle of the Persian language. Achaemenid Persians called their language (Old Persian) Pārsa and the Greeks followed this in naming it Persis. From then on, other nations have predominantly named Persia and Persian using words based on the root Pārs-. For example, the English use of the word ‘Persian’ has a five hundred year history and is derived from the Latin Persianus, itself drawing on the Greek Persis. Similarly, the French word is Persane, the Germans use Persisch, the Italians Persiano and the Russians Persiska. As outlined above, Persian only came to be described as ‘Fārsi’ by natives of Iran following the P/F letter substitution associated with the Arab conquests. Persian is the language of at least 110 million people worldwide – sixty to seventy million of whom are mother-tongue speakers. The most substantial populations are in Iran, Afghanistan and Tajikistan, but there are also significant numbers in neighbouring countries,– including Uzbekistan, Pakistan, Iraq, Turkey and the Caucasus – and also in the Persian Gulf states. In addition, since the 1979 revolution, emigration from Iran has led to the creation of Persian-speaking diaspora communities in many countries worldwide, especially in the United States, Europe, Canada, Australia and Israel. The largest urban community of Iranians outside Iran is now in the Los Angeles area. All these populations use regional versions of Persian with different proportions of non-Persian loanwords and slightly different pronunciations compared to the Persian spoken in Iran. Some of the alternatives have different local names: Tajiks call their Persian Tojiki, while Afghans often use the word Dari. However, unlike Arabic, all the alternatives are mutually comprehensible. Contrary to the views of some academics and institutions, they are the same language. Despite this, however, some academics and academic institutions are treating the Persian spoken in Iran and elsewhere as separate entities. Professor Michael Hillman from the University of Texas, for example, whilst lecturing at the ‘Fifth Biennial Conference on Iranian Studies’, assumed that ‘Farsi’ and Tajiki are dialects of Persian,; while undergraduates at Emory College in US are taught ‘Farsi’ as one variety of Persian. Even the Faculty of Oriental Studies at Oxford University, who have been teaching Persian since the seventeenth century – and who therefore really should know better, now describe Tajik as one of the ‘branches’ of Persian. The rich legacy of the Iranian nation – that is, Iranian identity at its most fundamental – is defined by, and intertwined with, the Persian language. “Persia has cherished and preserved against all odds . . the shared experience of a rich and rewarding past. It finds expression primarily through the Persian language, not simply as a medium of comprehension but also as the chief carrier of the Persian world view and Persian culture. The Persian language . . is a reservoir of Iranian thought, sentiment and values, and a repository of its literary arts. It is only by loving, learning, teaching and above all enriching the language that the Persian identity may continue to survive”. A key element in the history of Persian language and culture, within the discourse of Iranian history, is the struggle between Arab-Islamic and Iranian-nativist identities. This is not to say that Persian has not contributed to Islam: on the contrary, Persian played a major role in the propagation and spread of the religion in the Indian Sub-Continent, Central Asia and even as far as China and the Far East. The above concentrates on Iranian and Middle Eastern perceptions of Persian. Looking further afield, there is a long tradition of valuing Persian language and culture: “At its height, [the Persian language] stretched from the Aegean in the West to Sinkiang and the Bay of Bengal in the East and from the Russian steppes in the North to the Indian Ocean in the South”. Persian, in what Arnold Toynbee has called the ‘Iranic Society’, was the administrative and literary language of the Ottomans and of Mughal India,. All medieval histories of India are written in Persian and under British rule, for the English who aspired “to high office in India, knowledge of Persian was desirable”. Indeed, until 1834, it was the medium of all official correspondence in India. Taking a more purely European view, the Persian epic stories were first brought back to France by the Crusaders. Wolfram von Eschenbach then translated versions into German by around 1180. Presenting what became known as the Parsifal Legend, Eschenbach “utilized several Persian legends dating from about 600. By transmuting the sacred personages of the original legends into romantic knights, he modernized the tales for his own time. For this modernization he took as model a grand epic from the end of the eleventh century, the Barzu-Nama, the story of a knight named Barzu”. However, it was not until the reign of the Safavid dynasty (1507-1702) with their increasingly international commercial and political links, that any Europeans began to learn about Persian literature in any depth. The earliest extant reference to Persian literature in English seems to be from the reign of Queen Elizabeth I. In The Arte of English Poesie (1589), George Puttenham gives four Persian poems in translation. The 17th century German Orientalist Adam Olearius then played a significant role in popularising knowledge about Iran, following his visit there in 1633 as secretary to the ambassador of Frederick III of Schleswig-Holstein. As well as being a linguistic nonsense, it has culturally undermining effects to use the word ‘Farsi’ rather than ‘Persian’. “Saying Farsi instead of Persian robs the language and the culture of all the sense of splendor the name Persian has taken on in western languages through two and a half millennia of war, trade, religious and cultural influence, and other forms of confrontation or subtle interaction”. “Persian, alongside the name of a language, may be used as an adjective for the other aspects of our history and culture. For example, we can speak about ‘Persian Literature’, ‘Persian Gulf’, ‘Persian Carpet’, ‘Persian Food’. In this way, ‘Persian’ may be [seen as] a common concept and function as a link between all aspects of Iranian life, including language. ‘Farsi’ does not have such a characteristic”. “As there is no such thing as Farsi carpets, Farsi literature, Farsi cats, Farsi food, etc., it seems rather ridiculous to use this English neologism as a general adjective for the language”. “The synthesis of Persian culture has not changed with the Iranian revolution . . . classical Persian culture, philosophy and religious thought are still intact . . ”. “Persians are aware of their uniqueness in the Islamic world”. The use of the word ‘Farsi’, however, dilutes this distinctive quality and undermines Iranian culture. “Perhaps the most vital factor in this cultural continuity and the hallmark of Iranian national identity is the Persian language. Having been used in Iran at least since the time of Achaemenids in the sixth century B.C.E., the Persian language has assumed a distinctive Iranian character and become intertwined with Iranian national identity and unity. Not surprisingly, in recent times the Persian language has been one of the most important contexts in which Iranian nationalism has flourished”. WHO IS PROMOTING THE WORD ‘FARSI’ AND WHY? “Supporters of the name Iran prefer calling the language Farsi, it seems, while the supporters of the historical name Persia prefer Persian”. “. . hard though it is when dealing with the Farsi-merchants. Some of them probably use the term because they feel uncomfortable with the seemingly fuddy-duddy ‘Persian’ and are deterred by some spark of good sense from calling the language of Persia ‘Iranian’. For that is a family name which covers many other languages besides Persian”. Considering those who may have other reasons, however, there are three main groups worthy of further discussion: those in the West; Islamic fundamentalists and pan-Arabists; and, perhaps most worryingly of all, the Iranian diaspora. “All my Urdu-speaking friends refer to Persian as ‘Farsi’, which is its Urdu name; they tend to transfer that name into English quite naturally. I picked up the habit directly from them”. Now the habit is becoming institutionalised at the highest levels. The Guidelines for UK Government websites as well the British Embassy in Tehran currently describe Persian as ‘Farsi’. The BBC, with its long-established ‘BBC Persian’ radio service, is launching a range of TV channels for the Middle East in 2008. This includes a Persian language service which is to be called ‘Farsi TV’. Interestingly, the Arabic counterpart is named as Arabic TV – rather than ‘al-Arabiat TV’. Many Iranians still remember the partisan posture taken by the BBC in both 1953 (supporting the coup against Dr Mossadegh’s democratically elected government) and also in 1979 (as what became widely known as the ‘Ayatollah BBC’). With these events in mind, it is difficult to interpret the BBC’s choice as anything other than a conscious decision. Across the Atlantic, despite the US Library of Congress Standards recommending the use of the word ‘Persian’, ‘Farsi’ is used in the United States for Security Initiative Programmes of language teaching,, as well as in other official documents and websites,. American usage of ‘Farsi’ instead of Persian has not only has created confusion, but even suggests division amongst Persian-speaking peoples. For instance, according to the CIA’s ‘World Fact Book’, the language of Iran, Afghanistan and the UAE states as Persian, while Bahrainis’ speak ‘Farsi’. On the other side of the ideological divide, things are not very different. In post-revolutionary Iran, news agencies, English language journals, textbooks issued by the Ministry of Islamic Culture and Guidance, and resources for foreign tourists often refer to Persian as ‘Farsi’. Since the coming of theocratic regime to power in Iran, the regime leaders have dedicated significant resources to restructuring Iranian culture and values. Iranians are now vigorously-encouraged to choose Arabic/Islamic names for their children, and a large number of Iranian names have been outlawed. Many pre-Islamic historical and archaeological sites have been devastated under the cover of development projects: destroyed as part of highway and railway track construction; contaminated irreparably by chemical factories; undermined by nearby hotels; obliterated as part of mining; or submerged beneath dam reservoirs. There have even been threats to bulldoze Persepolis. In general, pre-Islamic Iranian heritage has been downplayed and undermined in favour of the promotion of Islamic culture, the Islamic way of life, and above all the Arabic language. There have even been systematic attempts to change to ‘Farsi’ the name used in the international community for the Persian language – as a political statement. “. . we believe that the future [is] Arabic, not Persian . . on the day the united Islamic government is established, certainly its language cannot be anything but Arabic”. “[the] revolutionary duty to promote the national language, and [how] that national language constitutes the most important and original determinant of cultural identity for any nation”. “[Today,] Persian is the language of true . . and revolutionary Islam”. Pourpirar has a startling range of views – including that the Parthian and the Sasanid dynasties are baseless fabrications by Jewish-Orientalists and that the indigenous peoples of Iran were wiped out by the ‘savage Slavic Achaemenids’ so that Iran was then free of human settlement until the Muslim Arabs arrived. He is however recognised as a scholar by the Islamic regime, who quote extensively from his written work. “Old Farsi is a branch of [the] Avestan language . . [and the] Avesta has been written in Iranian language (Ancient Farsi) . . [while] New Farsi, which is Dari Farsi . .”. Perhaps most worrying, however, is the use of the word ‘Farsi’ by some Iranians, especially in the diaspora. It is difficult to understand why they might, however inadvertently, allow themselves to contribute in this way to the denigration of Iranian cultural achievements. A number of Iranian academics now use the word ‘Farsi’ to refer to Persian in their English publications. For example, Dr Mohammed Chaichian, Professor of Sociology at Mount Mercy College, discusses the question of cultural identity in first generation Iranians – always using ‘Farsi’, and thereby himself diminishing that identity. “The media has accelerated and canonized [this] process with the spread of the Iranian diaspora around the English-speaking world, especially, perhaps in North America”. For those Iranians in French-speaking countries, the use of the word ‘Farsi’ for the Persian language is incidentally doubly incongruous since it sounds indistinguishable from the word ‘farci’, or ‘stuffed’. “Of all man's cultural badges, that of language is perhaps the most intimately felt and tenaciously defended”. Sadly, it seems that sizeable numbers of Iranians are not yet defending their cultural heritage stalwartly enough. “We should, in order to protect our literature and ancient cultural credibility in the West, strictly avoid using the word ‘Farsi’ and instead use the same old and well-known word of ‘Persian’. We should realise that the usage of the word ‘Farsi’ instead of ‘Persian’ acts against our national interests”. In conclusion, using the word ‘Farsi’ for Persian in any Western language, and in particular English, is a linguistic nonsense. Additionally, it undermines all the positive cultural connotations of the word ‘Persian’ for modern Iran and adds to the recent media portrayal of Iran as a strange and distant society. To use the word ‘Farsi’ instead of ‘Persian’ is an insult to the Iranian peoples and their culture and “one might even venture to say uneducated”. It is “one of the greatest affronts to great cultures in our time” . July 26 & 27 marks the passing away of the two Great Pahlavi King's of Iran - Reza Shah the Great and Mohammad Reza Shah (Shahanshah Aryamehr). As I have already written an entry which covered many (although not all) of Shahanshah Aryamehr's achievements I would like to focus this entry more on the founder of modern Iran - HIM Reza Shah the Great. Iran before Reza Shah the Great was a an impoverished, disease-stricken, bandit-ridden, land with society being controlled by the poisonous grip of the Arabo-Muslim clergy. The ruling dynasty was the Qajar (Kadjar) who where known for spending more time and money travelling abroad than actually being present in the country they ruled. 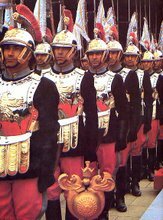 The Qajar's have gone down in Iranian history as one of the worst and most incompetent dynasties to rule Iran due to their complete incompetency and failure in defending Iran's borders with the entire northern parts of the country having been conceded to foreign nations. The Qajar's did not care for Iran as much as they cared for their harem's and trips abroad which had led to a disastrous socio-economic state in the country - the majority of people during the Qajar Era did not even know about their Great historical figures like Cyrus the Great, instead they had been fed Arabo-Muslim propaganda for 1400 years which had made them loose touch with their roots and Iranian identities. Not being able to tolerate the status quo and the threat which foreign powers posed to the integrity of the nation any longer (in particular the threat posed by the Bolsheviks and the Imperialist threat of Britain) a saviour rose up amongst the ranks of the Iranian Cossack Brigade - a man who would become Commander of the Imperial Armed Forces and Minister of War. 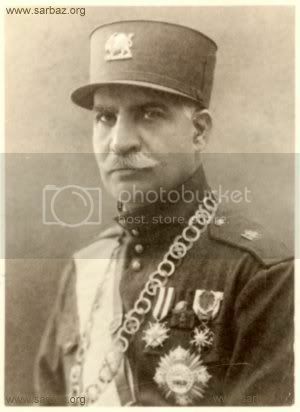 Reza Shah went on to quell all unrest across the nation in particular those separatist ambitions which the Soviets had nurtured in the northern provinces (Azerbaijan and Kordestan) and also in the south in Khuzestan were an Arab Sheikh had tried to claim Iranian territory for being Arab land. Reza Shah dealt with these enemies with an iron fist to secure the territorial integrity of Iran. Order had been established in a country which had been lawless for centuries. Having proven his worth and loyalty to his nation the Iranian parliament declared Reza Shah the new King of Iran - and thus the Pahlavi Dynasty replaced the now defunct Qajar Dynasty. For more discussion on Reza Shah the Great's discussion please see THIS OLD THREAD of mine which I started on a discussion forum. Also see THIS PAGE. See my photobucket album of Reza Shah the Great by CLICKING HERE and of Shahanshah Aryamehr by CLICKING HERE. UPDATE #1 : Listen to Banoo Pari Saffari's message on the occasions of the Pahlavi Kings' memorial day - CLICK HERE.